Hello my name is Idris Busari. 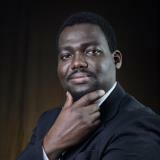 I am a Nigeria-born, US entertainment entrepreneur. I enjoy singing and songwriting among other things. I am a radio announcer, photo, video and music enthusiast. I am the founder and multimedia content manager at ResQ Records, PiKture Time Films and Michiana Beauty Products Online. I am an avid learner who loves to share.